Back in January of 2018, we kicked off our 40th Anniversary Bash in Boulder, CO with an intimate evening of music and conversation at eTown Hall. 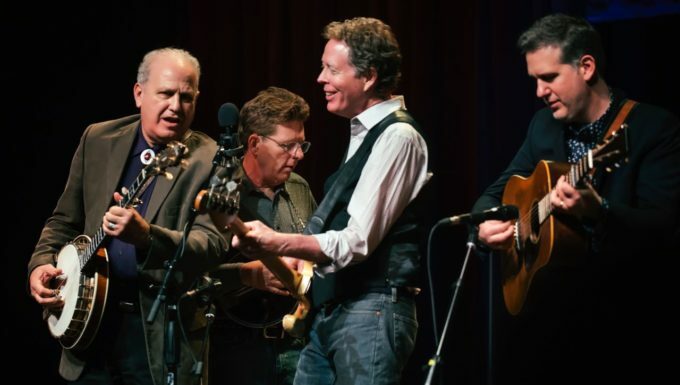 Joining us for this celebration were three longtime friends of ours and masters of their respective instruments: Sam Bush (mandolin), Jerry Douglas (resophonic guitar or Dobro) and Stuart Duncan (violin). eTown's veteran video and audio crews were on hand for the full 4-night run, recording the proceedings for our 40th Anniversary Bash album.